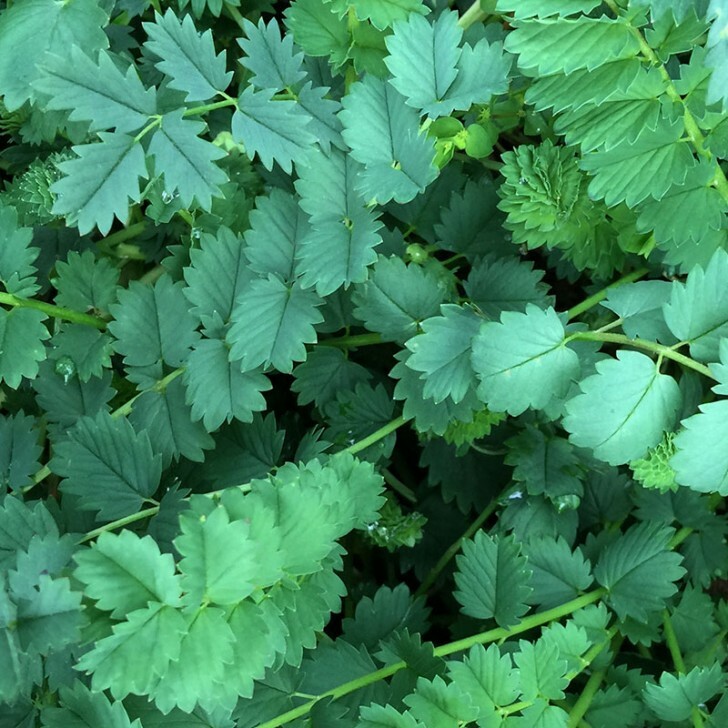 Salad Burnett or Sanguisorba minor is a smallish perennial seasonal herb that tastes a bit like a slightly astringent parsley with a cucumber and mint overtone. In my climate it tends to favour the cooler wetter times of the year but will regrow happily every year in a range circumstances. It is in peak full growth for about six months of the year and then either in decline or regrowth for another few months – when the flavour is somewhat diminished and less desirable.Seasonal picking times are important because when in full growth it has a nice solid herby texture and flavour – but when not in full growth it tends to have more hairy and less pleasant ‘mouth feel’ -ie. You want it at it’s peak growth period. It is very nice scattered amongst a range of other leafy greens or as a companion to a refreshing salad with melons and cucumber etc. It grows fairly easily from seed and will set seed easily from it’s beautiful small spherical flow clusters. Just let them form, flower and dry out on the plant – then shake them loose in a bag when fully dry. It will grow to about 50cm high and tend to spread out over time to form a clump about 1 meter wide in a few years. They have traditionally been used to line pathways in gardens and make for a very easy to control soft edge to any hard paved surface. The leaves are a nice deep mid to dark green colour and they have attractive flowers. They are pretty hardy even in fairly dry conditions but love to have access to lots of moisture in the soil and respond quickly to watering by sprouting new growth furiously. 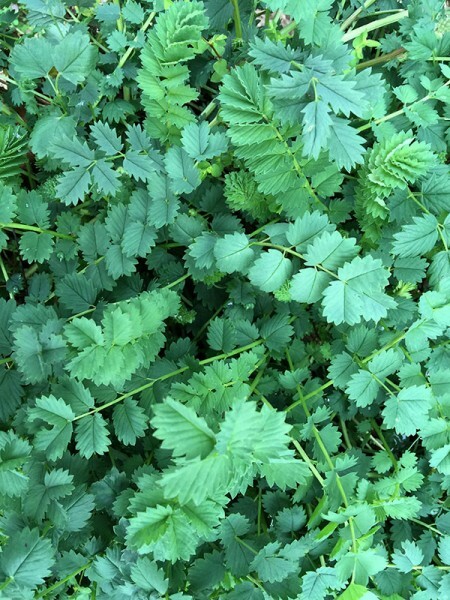 The leaves have a very distinct shape and growth form – almost like a fern. There are several other worthwhile Burnetts that I think are worth trying to grow in your garden and they both look impressive when in flower – but both also have a less pleasant taste profile and probably need blanching to make them edible. Giant Burnett or Sanguisorba officinalis is a much larger version that grows to about 1 metre high. White Burnett / Canadian Burnett or Sanguisorba canadensis is about the same as Salad Burnett but has pure white flowers.